The world has been experiencing an increase in the severity of global issues, including rising trends of natural disasters, terrorist activities, war and political upheavals over the recent past. There is no respite to this trend or any signs of slowing down. Quite a number of us may feel a sense of helplessness as we see our world lurch forward uncontrollably towards even tougher times. A number of seers such as Nostradamus, Edgar Cayce etc. have predicted turbulent and distressing times of cataclysmic proportions. There has also been much talk about a battle between the forces of good and evil that will play out around the times we live in. This section of the website will explore the various global issues, analysing phenomena or events taking place around the world. 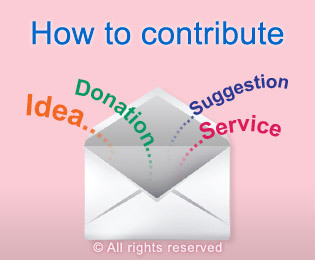 It will also guide about what we can do at an individual and collective level to help solve the global issues at hand. 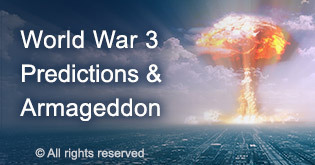 A global issue of utmost importance for all humanity, World war 3 is approaching at a fast pace. Unknown to most people, the cause is spiritual in nature, as the Universe is in the midst of a subtle-battle of epic proportions. Most of this subtle-battle is and will be fought in the subtle-realms. Climate change, global warming and natural disasters are the most widely talked about global issues. According to spiritual research, the primary cause of the increase in natural disasters is a cyclic process that occurs in the Universe over time. Though less popularly known, the sinkholes are becoming a global issue as well, as they occur more and more often in various places around the world. A sinkhole is a depression or hole in the ground caused by some form of collapse of the surface layer. The ground, caves in all of a sudden, creating large holes in the ground and sometimes devouring up whole buildings. In the last couple of years there were numerous cases of rivers or lakes turning red. This global issue brought fear to many people around the world who experienced it and dumbfounded even the top scientists as they were not able to find the cause, which is in reality spiritual in nature. The subtle-battle of good versus evil has been waged periodically since earliest times. When purchasing or evaluating land, one rarely considers its subtle aspects. However, the subtle aspects of land have a significant impact on residents. Our detailed study on the subtle aspects of soil has yielded surprising results. We found that how land looks physically is not necessarily an accurate indicator of its subtle vibrations. 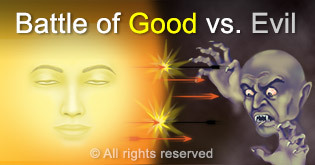 The subtle-battle of good versus evil. Unknown to most people, the Universe is in the midst of a subtle-battle of epic proportions. 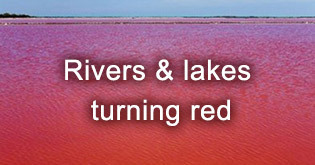 In the last couple of years there were numerous cases of rivers or lakes turning red. People who perform this ritual say that it reduces stress, leads to greater clarity of thought, improves overall health, gives one increased energy, and makes the mind more loving in nature. The ritual of Agnihotra has been promoted as a simple ritual that helps to minimise the adverse impact of nuclear radiation. Agnihotra is a simple fire ritual mentioned in ancient Vedic scriptures which is performed to reduce pollution and spiritually purify the atmosphere. As a citizen of this world what can I do? We have provided some practical information on what each of you can do to help the situation. 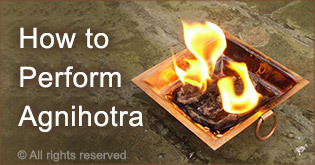 Agnihotra is a simple fire ritual mentioned in ancient Vedic scriptures. Do you know that he world is in the midst of gigantic battle between forces of good and evil? How do negative energies (ghosts, demons, devils, etc.) manipulate different events on the Earth plane like natural disasters, pandemics, social upheavals? What level of spiritual strength is required for this? 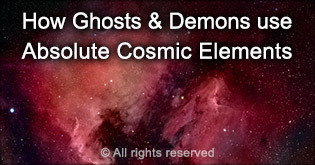 Learn how the subtle world influences the Earth plane. 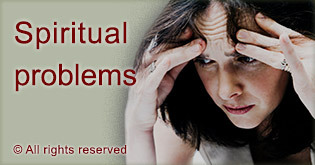 Most of us are unaware that the difficulties in our lives are actually spiritual problems 80% of the time. 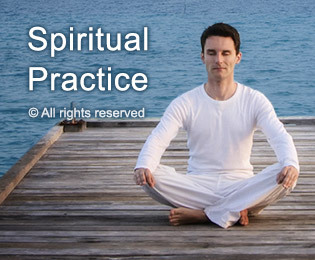 Spiritual healing is defined as overcoming the spiritual root causes of problems through spiritual means. 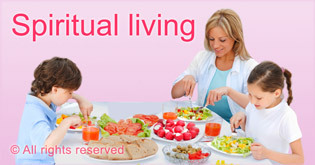 In this section we explore the various aspects of applying principles of sāttvik living (Spirituality) in our daily life. World War 3 is coming - are you prepared? Recently, SSRF published a blog post about recent natural disasters that are on the rise. 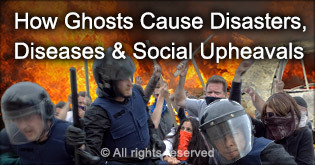 We have noticed that national conflicts are on the rise as well. Why is there such a high occurrence of natural disasters lately? Spiritual research reveals that human factors contribute 70% among the causes of destruction of our Earth. A seeker of SSRF had a premonition about the coming dreadful times on Earth in 1999. This book helps one understand the true meaning of Spirituality and the misconceptions about it. Thus one gets the impetus to wholeheartedly focus one's mind on spiritual growth.